Until CES 2017, very few people knew of Walkera. But the Walkera Vitus was quite an eye-catcher during the event and that got the attention of many. Even though it resembled DJI Mavic in many ways, what did set it apart was the price, remote controller, and its protruding camera. Around July of this year, it was unveiled and it continues to draw mixed reactions from drone enthusiasts. Now, not too long ago, Walkera also released a new version of the Walkera Vitus named Walkera Vitus Starlight. It’s a clever drone designed to capture crisp footages and images, especially at night or in environments with extremely poor illumination. Lack of light is known to make image shooting or night time video shooting difficult yet that’s exactly what this drone seeks to eliminate. Just like most of the drones around today, the unit comes complete with a remote controller bearing a dual-thumbwheel design to allow for multitasking, an antenna, and a holder for mobile phones. Its other key features include. These sensors are packed into the drone’s camera and their ability to detect extremely faint light makes it possible to shoot clear images with more details exposed. When there’s a change of light, say from night to day, the camera can detect it and adjust itself to help you shoot crisp and clear footages and images with the same quality you would at night. With this drone, you can shoot videos in 4k at 30fps or capture images of 12MP. And with the help of its 85-degree ultra-low distortion wide-angle lens, you will be able to retain the original details and make your footages exceptional. Through its Glonass satellite positioning systems, the unit can receive satellite positioning signals quickly and accurately. This means that your flight will be accurate and stable not just outside but even indoors with the help of the infrared sensor placed at the bottom. 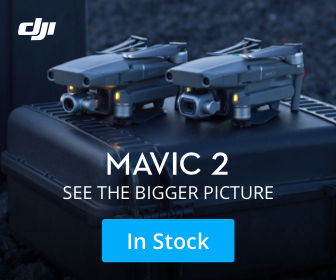 Due to its compact size, creators of this unique drone equipped with it a mini-sized 3-axis stabilization gimbal that, not only keeps the video footage smooth and steady, but also prevents images from shaking while the unit is midair. Like a DJI Mavic, Walkera Vitus Starlight’s arms, propeller blades, and landing gear can be folded to make it portable. You won’t require a suitcase or oversized backpack to store it. Just load it in a normal bag and go with it anywhere you like. With the help of high precision sensors (3 at the front and one at the bottom) and an advanced infrared TOF technology, the unit, through its obstacle avoidance system, is able to detect any obstacles on the left, right and front sides that are within a distance of 5 meters. And the infrared sensor at the bottom helps in positioning, especially when one is flying indoors. Other significant features to note include the smart follow system that enables the unit to identify an object and follow it. The system is activated through the image algorithm technology. AR game console, another clever feature packed into this drone, is for drone pilots looking to race or try air battle games. The system combines augmented reality technology and a couple of virtual elements in an outdoor flight scenario to deliver an immersive experience. You can gift yourself this marvelous drone by parting with $ 1299. Click here to buy.